Cactus Mexican Dining in Woodbridge Thursday, March 28, 2019. Co-workers Sergio Rivera, Tanner Turrini, Justin Burch, and Abraham Castaneda have lunch at Cactus Mexican Dining in Woodbridge Thursday, March 28, 2019. Owner Mia Gomez poses for a picture at Cactus Mexican Dining in Woodbridge Thursday, March 28, 2019. A large sign in displayed in the entrance of Cactus Mexican Dining, notifying diners of the restaurant's move, in Woodbridge Thursday, March 28, 2019. After 27 years, Cactus Mexican Dining is leaving its historic site in Woodbridge for new digs just down the road. 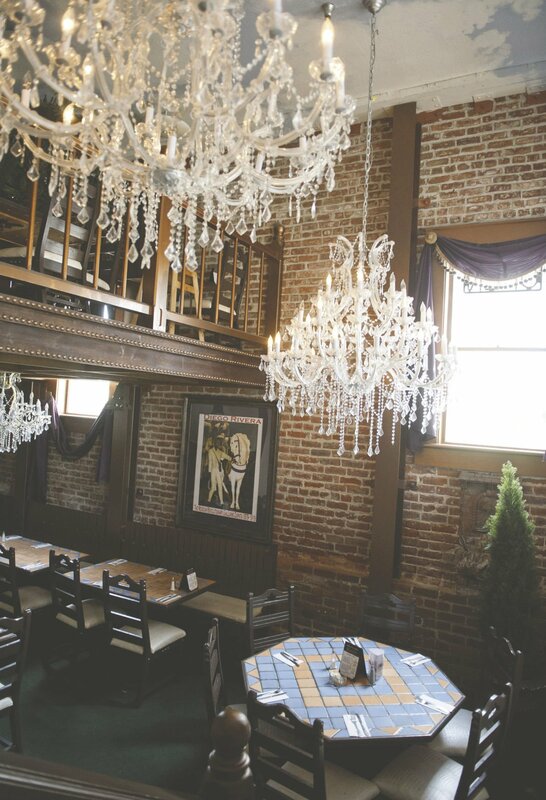 The restaurant is scheduled to close its current site at the corner of Lower Sacramento Road and Mokelumne Street on April 8 and move into its new location at 18815 N. Lower Sacramento Road, formerly the home of the Flight Lounge, on April 9. The current home of the Cactus was built in 1861 and was constructed by the Independent Order of Odd Fellows (IOOF), a group founded in 1819 by Thomas Wildey in Baltimore, Md. The IOOF was established throughout the United States by 1842 when it came to Woodbridge. The Woodbridge chapter expanded the IOOF Hall in 1874 before it was formally converted into a clubhouse and business. 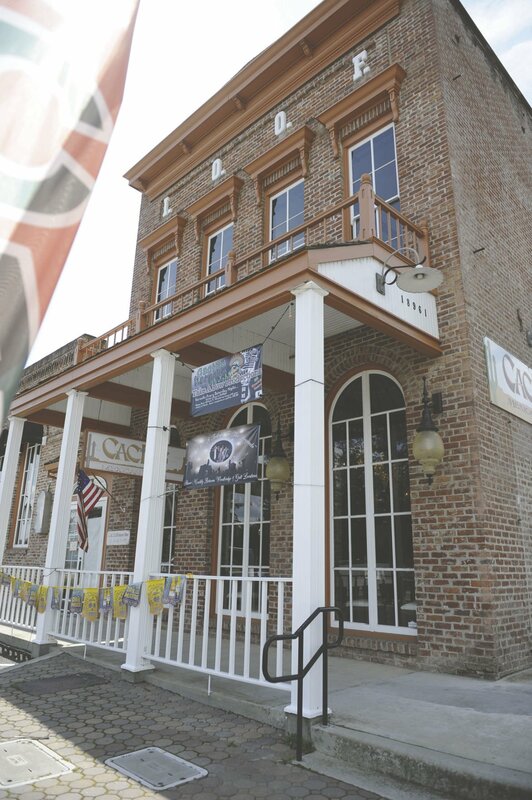 Due to the history of the building, the National Register of Historic Places declared the IOOF Hall a historic site in 1982, before restaurateurs who sought to turn the building into a successful restaurant purchased it. Efrain Gomez, who ran Las Palmas in Sacramento, purchased the restaurant with his then-girlfriend Mia Gomez in 1992. The two remain co-owners of the restaurant. “Before we purchased the restaurant, it had been owned three times before by different restaurant owners,” Gomez said. Cactus is a restaurant known for its famous corn and flour tortilla chips, which has helped sustain the restaurant's presence on the local food scene. Even though the owners have managed years of profitability at the IOOF hall, the time came to modernize and find a smaller space, according to Gomez. “The Flight Lounge has a bistro-style setup, and it’s a smaller venue, which is what we have been looking for,” Gomez said. Gomez admits that she will miss the grandeur of the IOOF Hall, because it allowed the couple to host a myriad of events in the space, from karaoke nights to open mic nights, and music troupes and performances. “It is such a unique building and it served us well, and we are grateful for all the opportunities it offered us,” Gomez said. Loyal patrons who have dined at Cactus have embraced the owner’s decision to move and are happy to see the restaurant stay in Woodbridge, according to Gomez. As the couple readies for the change in location, Gomez says there will be new additions made to the menu that offer a variety of options to diners, with food restrictions and food preferences. “We want to add vegan options to the menu and present a line of specialty desserts,” Gomez said.